Up Next: Fargo National – Tucker’s Home Race! The Fargo National in Glyndon, Minnesota this weekend is Tucker’s home race! Buffalo River Speedway is only a short drive from his rural Pelican Rapids home. Come out to cheer on the local favorite! Pro racing action kicks off both Friday and Saturday night at 6:00 with final events at 9:15. Click HERE for tickets and more information on the event. 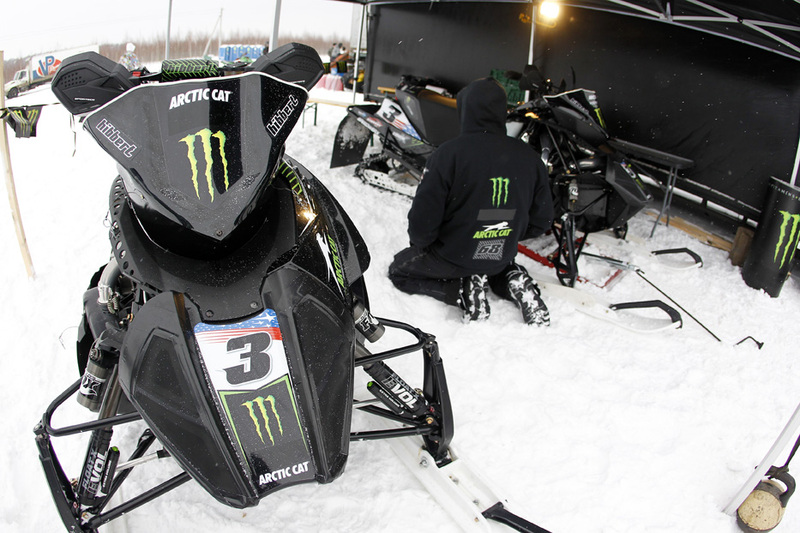 What: Meet Tucker and get a close-up look at his Monster Energy/Arctic Cat snowmobile! When: Thursday, March 1 from 5-7 p.m. If you can’t make it to the Fargo National, watch all the action LIVE online at www.ustream.tv/xsan-isocacss. Plus, get a behind the scenes look into Team 68 with trackside videos posted on Tucker’s Official Facebook Page and Tucker Hibbert TV. Here’s a quick look into Tucker’s activities in Russia leading up to Saturday’s 2012 FIM Snowcross World Championship event. Click HERE to watch videos showcasing the venue and racetrack. Russians are race fans and excited to host the World Championship for the first time. This was made clear by the amount of national, regional and local media that attended the pre-event press conference held in Ivanovo Thursday afternoon. Thursday night, an official rider’s presentation was held in one of the main city squares of Ivanovo. 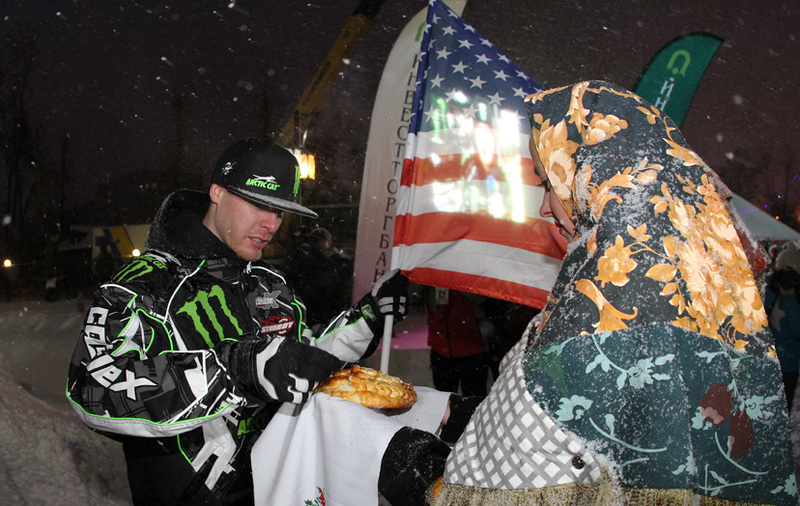 Each country and its riders were introduced to the public by the racers riding in on snowmobiles carrying their country’s flags alongside videos clips on a jumbo screen, music and fireworks. Each rider was offered bread and salt by a woman dressed in traditional Russian clothing to “welcome” them to the country. Members of Team Russia are always excited to “make a photo” with Tucker. Kirk and Rob have been working hard all week making the final adjustments on Tucker’s Arctic Cat Sno Pro 600. Thanks to SGN Group (Arctic Cat Finland/Russia) and Monster Energy Sweden, the crew is dialed with parts, tools, supplies along with a van and trailer. Tucker turned the fastest lap time of the day during Friday’s “free” practice with a 1.29. The racetrack is long, wide, rough and lined with big berms and jumps. The big event is tomorrow with three main events to determine the 2012 FIM Snowcross World Champion! Remember, you can watch all the racing action live online. See the post below for the complete details. 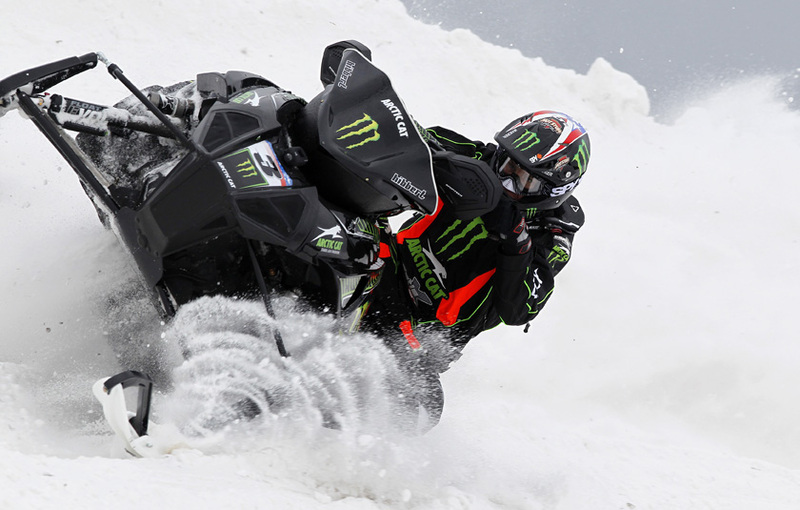 Watch the 2012 FIM Snowcross World Championship LIVE! Saturday Feb. 25, Tucker will lineup against over 30 riders from six countries to compete for the prestigious FIM Snowcross World Championship in Russia. Qualifying practices and races will cut the field down to 22 riders. The top 22 riders will race in three separate, 15 minute + 2 laps races. The rider with the best overall finishes after the three races will be crowned the 2012 World Champion! Fans around the world can watch the event live online. NOTE: The production quality is unknown and Russia is +10 hours from CST. The times listed below are already adjusted for CST. The only indoor event of the ISOC National Snocross Tour is Friday night in one of the country’s largest stadiums – The Pontaic Silverdome! Tucker has not only raced snowmobiles in the Silverdome but also dirt bikes on the AMA Supercross tour in 2004 and 2005. The ISOC track crew has been working around the clock to pile-up snow for this unique event. Warm weather won’t stop this show! Buy tickets for Friday’s event HERE. When: Thursday, February 9 from 5-7 p.m.
Watch all the action LIVE online at www.ustream.tv/xsantv. Plus, get a behind the scenes look into Team 68 with trackside videos posted on Tucker’s Official Facebook Page and Tucker Hibbert TV. Enter Tucker’s Monster Energy/Arctic Cat Sweepstakes! Tucker teamed up with Monster Energy and Arctic Cat for the ultimate give-a-way. 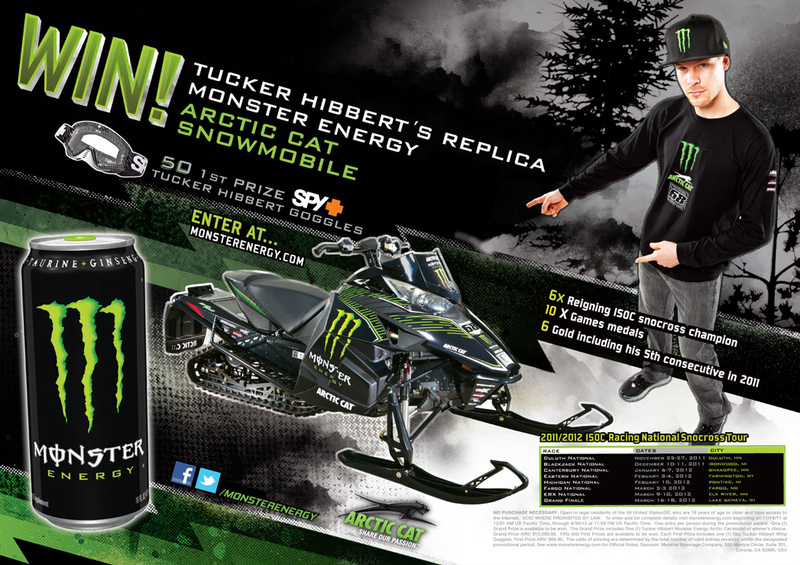 You can win a Tucker Hibbert Monster Energy edition Arctic Cat snowmobile! One lucky fan will be ripping down the trail or up the mountain next winter on this sweet ride. Plus, 50 first-prize winners will grab Tucker’s signature Spy Whip goggle. Keep your eyes peeled for the promo pieces at your favorite Monster Energy account and at your local Arctic Cat dealership. Enter the Tucker Hibbert Monster Energy/Arctic Cat Sweepstakes HERE! You don’t want to miss the coverage of Tucker’s 68th career win at Canterbury Park. Grab a Monster Energy and Hot Stuff Pizza from your local convenience store, kick-back and enjoy the action! Click HERE for the full broadcast schedule.